West Marine has been testing anchors for over 20 years, usually by joining forces with anchor manufacturers, boating magazines or non-profit boating groups. 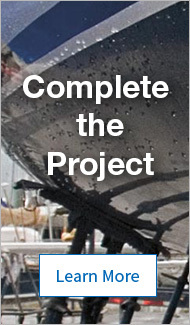 We even have done a number of tests on our own using Showtime—our Fortier 26' lobster-style boat—as the pulling vessel. However, due to Showtime's modest size, bollard pull has been limited to approximately 1000 pounds force (lbf), limiting the size of the anchors that can be tested effectively. So, when we received a call from Bill Springer, Editor of SAIL Magazine, asking us to participate in an anchor test, we jumped at the opportunity. Our goal was to test anchors that might be used by 35' to 45' cruising sail and powerboats, and we decided to charter a larger vessel that could produce more pull. We could therefore explore anchor holding power up to 5000 lbf. Bill was joined by editors of other yachting magazines including Toby Hodges of Yachting Monthly, and Jeff Moser, of Power and Motoryacht. We selected 13 anchors representing a wide variety of the anchors available to boaters. Some were well established, like the CQR and the Delta, while others were relatively unknown in the US market, either due to their relative "newness" or their popularity in Europe but not in the US. 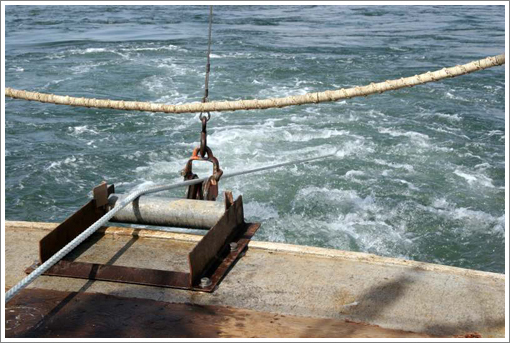 The anchors were not chosen to weigh the same amount, but rather chosen based on what a boater might select based on manufacturer recommendations. The local bottom conditions made an incredible difference. 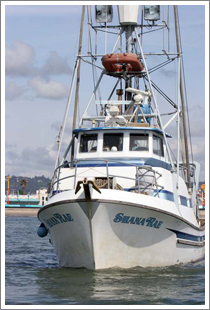 We got dramatically different results testing on one side of Santa Cruz wharf compared to the other. We believe that many of the pulls were in a location with extremely compacted sand that did not allow some of the anchors to get an initial "bite". The anchors, many of them with great reputations, simply skidded along the bottom. The mass of the boat changed how the anchors performed. We were as gentle and realistic as possible when performing each pull, but we still got much different results from Shana Ray compared to Showtime. 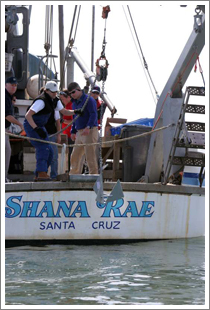 Shana Ray weighs about ten times as much, but we were extremely careful to set the anchors at very low speeds. Still, the results were confounding. Many newer designs worked better than the old familiar anchors. In particular, we were very impressed by the "roll bar" anchors like the Rocna, Manson Supreme, and Wasi. And the Spade, one of our favorites, continued to perform well. The two anchors with some aluminum in them, the Hydrobubble and the Fortress, also produced impressive holding power, especially considering their dramatically lighter weight. It is important to know how an anchor can fail. Typical failure scenarios include an anchor setting and then dragging under tension—or once set, it suddenly releases without warning. Anchors can also bend or break or release when the boat suddenly veers. Given enough force, even a well set anchor can dislodge. In testing, many of our favorite anchors set as soon as they hit the bottom, and held to a consistently high tension before releasing quickly. There is no such thing as a fail-proof anchor. Our 50' research boat was equipped with a 275HP diesel engine and a 34" propeller, and was able to achieve tensions approaching 10,000 lbf. For safety reasons, and because we didn't think that we could gain much additional knowledge exceeding a particular tension, we selected a maximum tension of 5,000 lbf. We did all our pulls off the stern of the vessel, with the engine in forward. We used an anchor rode that was a compromise of realism and safety. Ideally, we would have tested the anchors using a rode that was typical of the vessels in the 35' to 45' range, but that would have put too high a load on the rode for safety. If the line were to have parted above the surface, the snap back under high loads could have been extremely hazardous. The solution was to use oversized 1" 12-strand nylon line (New England's Megabraid) at the vessel end, and 25' of 3/8" high test Acco chain at the anchor end. In all cases, we used a 3/8" galvanized shackle between the anchor and the chain as a "weak link" so that if the rode were to part, it would do so underwater.